On June 30, 2017, about 1215 mountain daylight time, a Cessna P210N airplane, N210HG conducted a forced landing near Eagle, Colorado. 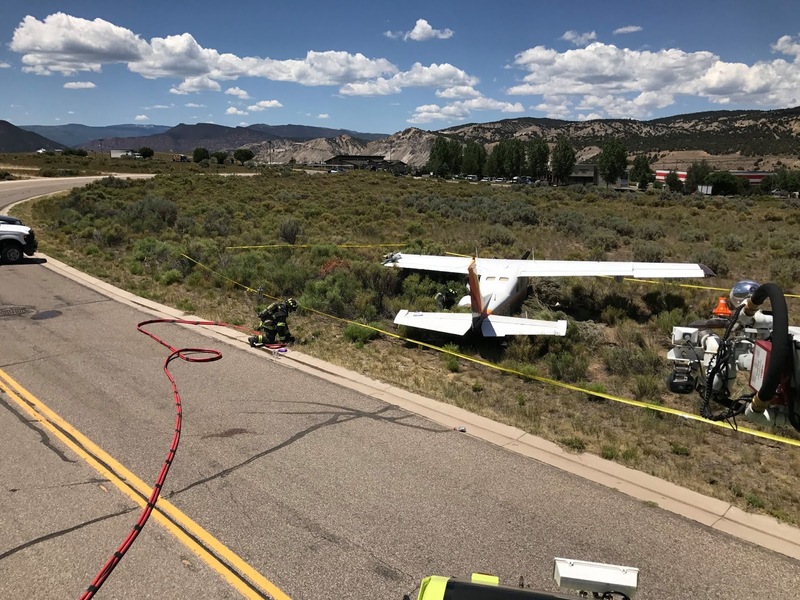 The pilot was not injured and the airplane was substantially damaged during the landing. The airplane was registered to and operated by Tridelaw Aviation, LLC, under the provisions of 14 Code of Federal Regulations Part 91 as a cross-country flight. Visual meteorological conditions prevailed at the time. The pilot reported that he departed Montrose, Colorado (KMTJ) en route to the Eagle County Regional Airport (KEGE). He added that he departed KMTJ with 60 gallons of fuel and 8 quarts of oil in the P210. As he approached KEGE, he contacted the tower controller and was directed to enter the downwind. As he entered the traffic pattern and configured the airplane for the landing, the engine lost power. The pilot reported that he followed the 'engine failure during flight' checklist, and switched fuel tanks; however, the engine did not restart. The pilot informed the controller and selected an empty road for the forced landing. 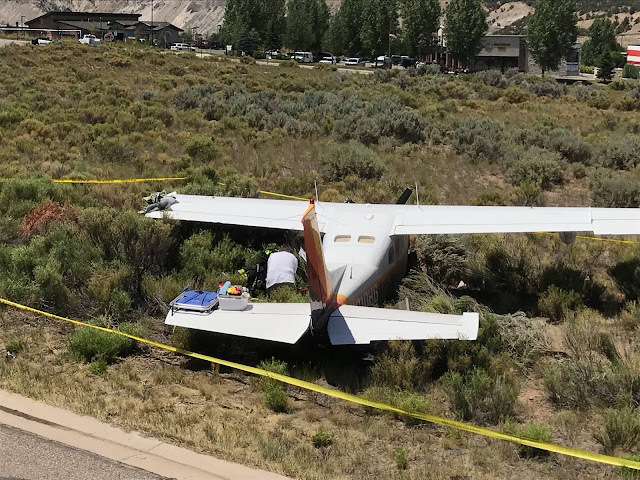 During the landing, the left wing impacted a pole, the airplane then exited the road, coming to rest in an upright position. During the impact with the pole, about a 5 ft section was torn from the wing; damage was also noted on the fuselage and to the four-bladed propeller. 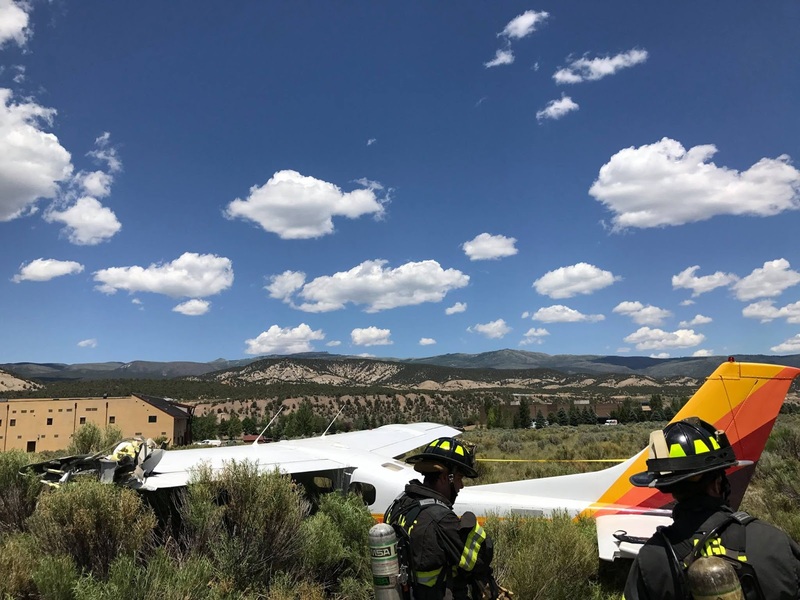 Fire department personal arrived on scene and noted fuel leaking from the airplane, so they applied a water-based fire retardant to both wing fuel tanks. 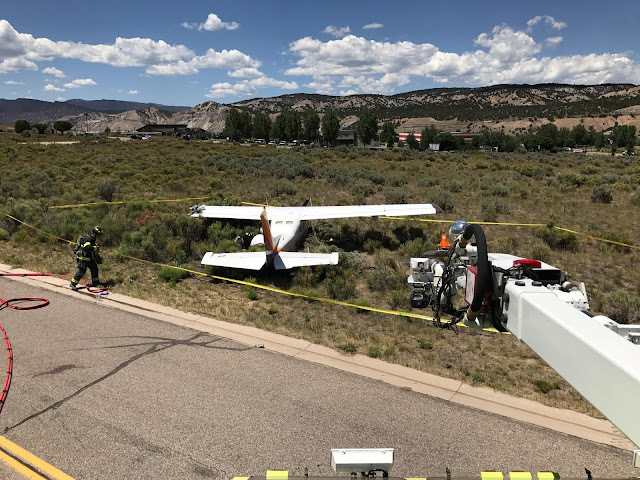 The responding Federal Aviation Administration (FAA) inspector also stated that after the recovery of the airplane fuel was leaking from at least one of the wing fuel tanks. It was also reported that the airplane was filled with about 30 gallons of fuel on June 21. The airplane was recovered and transported to a salvage facility, where an examination was conducted by the NTSB Investigator-in-Charge and a technical representative from the engine manufacturer. A fuel can was connected to the left-wing fuel line and a visual engine examination was conducted. A slight fuel leak was noted on the fuel metering unit, otherwise no external visual abnormalities were noted with the engine. The top set of sparkplugs were removed; the sparkplugs had normal wear and light grey deposits. Each cylinder was borescoped; the engine crankshaft was rotated by hand, and spark was observed on each ignition lead. The airplane was equipped with a fuel flow and an JPI engine data monitor (EDM) 700 system. No information could be retrieved from the fuel flow system; however, the EDM contained 28 files, dated from May 27, 2017 to June 30, 2017. A review of the monitor's information revealed that there were two flights on June 19th, one flight on June 20th, and a one-hour flight on June 30th, which corresponded to the accident flight. The June 30th flight was plotted; just before the end of the data, there was a slight rise in exhaust gas temperatures (EGT), followed by a decrease. The rise and decrease in temperatures were uniform across all six cylinders. In order to conduct an engine run, and due to damage to the engine's propeller, two blades were shortened to provide blade symmetry and balance. Prior to the engine run, the fuel strainer was opened and liquid consistent in appearance with water, was drained from the fuel line. The engine was started and run to 2,500 rpm; a magneto check was also performed, with no abnormalities noted. During the run, fuel continued to leak from the fuel metering unit. After the run, the unit was disassembled, the internal O-rings appeared flattened or degraded. It was not determined if the O-ring leakage was due to impact to the metering unit during the accident, degradation of the O-rings due to the fire retardant, drying out of the O-rings, or natural degradation of the O-rings over time. The fuel metering inlet screen was removed and was absent any debris and contamination. A reason for the loss of engine power was not determined. 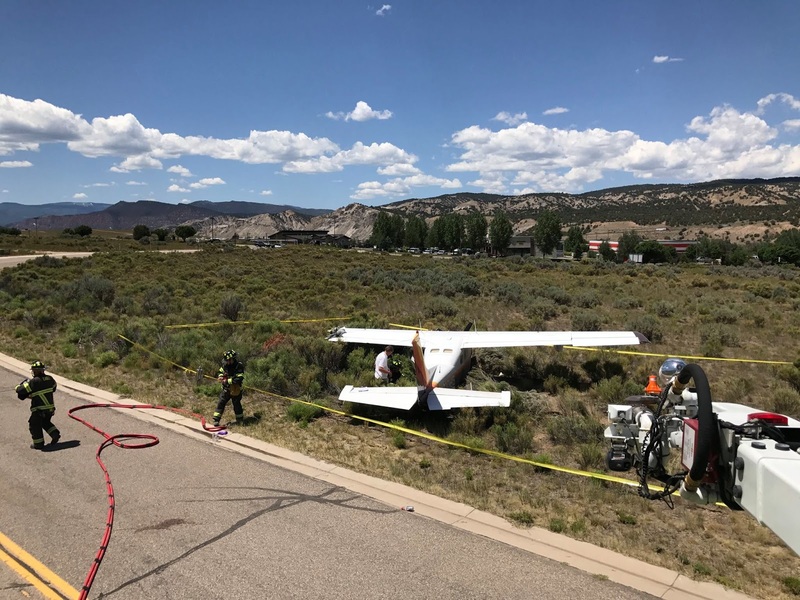 On June 30, 2017, about 1245 mountain daylight time, a Cessna P210N airplane, N210HG conducted a forced landing near Eagle, Colorado. 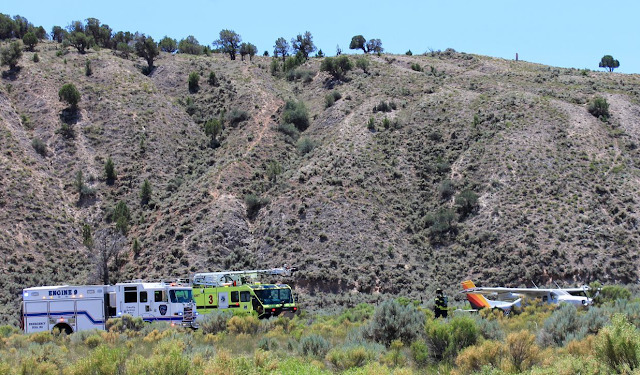 The pilot was not injured and the airplane was substantially damaged during the landing. The airplane was registered to and operated by Tridelaw Aviation, LLC, under the provisions of 14 Code of Federal Regulations Part 91 as a cross-country flight. Visual meteorological conditions prevailed at the time. The pilot reported to the Federal Aviation Administration (FAA) inspector, that he departed Montrose, Colorado (KMTJ) en route to the Eagle County Regional Airport (KEGE). He departed KMTJ with the left fuel tank full of fuel and the right fuel tank half-full of fuel. As he approached KEGE, the engine lost power, so he attempted to restart the engine. The engine restart was not successful, so he selected a road for the forced landing. During the landing, the left wing impacted a light pole, resulting substantial damage.